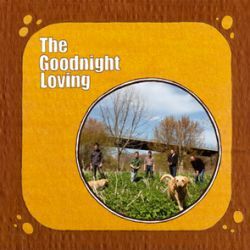 Coming from the rural Northern parts of Wisconsin, The Goodnight Loving met in Wisconsin to develop their own sound consisting of garage, blues, country and whatever else came into their minds. After releasing the two albums Cemetery Trails (2006) and Crooked Lake (2007) on Dusty Medical Records, the Italian label Wild Honey became wide-eared and licensed the vinyl version of their self-titled album which followed already one year later. The quintet offers nothing truly original, but their boundless mixing of different styles guarantees an entertaining ride through the forty minutes of music. Reverb on the guitars makes for a Sixtyish sound, the keyboards blend in perfectly with the retro sound, and in the end the thirteen mostly short songs stun the listener with a honest foray into the aforementioned sounds, even managing sometimes to add some traces of British invasion. 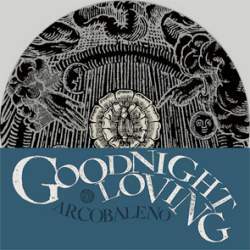 This year, The Goodnight Loving released the five track EP Arcobaleno again on Wild Honey, as a silk-screened one-sided vinyl record. This new record is less pop and delves instead deeper into lo-fi country blues territory, without altogether giving up the pop sensibilities of the predecessor. Fans of authentically rendered Americana will have a jolly good time with the not always long, but definitely heartfelt records of this young Wisconsin band.